← Invasive Plants in NH: When Visitors Overstay! Arsenic In Our Environment: Are Levels Unsafe? What: Arsenic In Our Environment: Are Levels Unsafe? Attend this free talk and join the experts to understand the risks of arsenic in our food and water! 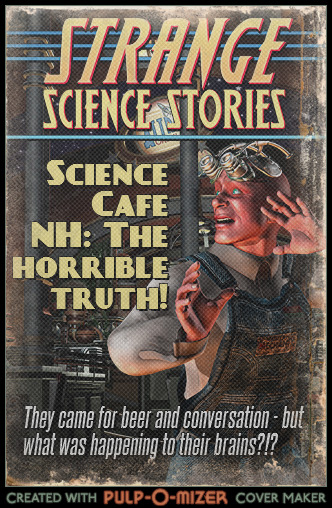 Come to Science Cafe NH to learn about arsenic and the risks it poses in New Hampshire. What is arsenic? How are we exposed to arsenic? What is known about the health effects? What is “organic” arsenic? Should we test our well? What public health strategies should we consider? What does emerging science have to teach us? Paul Susca, New Hampshire Department of Environmental Services, supervises NHDES’s Drinking Water Source Protection Program, and has been with the program for 17 years. The program works to protect public water supply sources and groundwater resources, providing technical and financial assistance to public water systems and municipalities, as well as partnering with other environmental programs and outside organizations. Joe Ayotte, U.S. Geological Survey, has worked as a hydrologist with the US Geological Survey for 24 years and has spent much of that time studying water quality issues in the region and nationally. He has published many articles related to arsenic in groundwater in New England and continues to conduct research related to arsenic in private wells. He was a 2010 recipient of the USEPA Environmental Merit Award based on his work related to arsenic in groundwater. Brian Jackson, Dartmouth College, Superfund Research Program, studies forms and spatial distributions of trace metals found in the environment and in biological samples. At Dartmouth and as part of the Superfund Research Program, Brian has developed innovative laboratory techniques to analyze metals. Specifically, he investigates samples from soil solutions and biological tissues using “hyphenated separation techniques,” which detect and separate forms of metals that are harmful to humans. Denise L. Montgomery, Joseph D. Ayotte, Paul R. Carroll, and Patricia Hamlin. (2003). 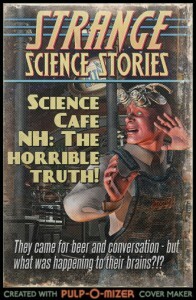 Arsenic Concentrations in Private Bedrock Wells in Southeastern New Hampshire. Joseph D. Ayotte, Denise L. Montgomery, Sarah M. Flanagan, and Keith W. Robinson. (2003). Arsenic in Groundwater in Eastern New England: Occurrence, Controls, and Human Health Implications. Environmental Science & Technology, 37(10), 2075-2083. Joseph D. Ayotte, Bernard T. Nolan, John R. Nuckols, Kenneth P. Cantor, Gilpin R. Robinson, Jr., Dalsu Baris, Laura Hayes, Margaret Karagas, William Bress, Debra T. Silverman, and Jay H. Lubin. (2006). Modeling the Probability of Arsenic in Groundwater in New England as a Tool for Exposure Assessment. Environmental Science & Technology, 2006, 40, 3578-3585. Brian P. Jackson, Vivien F. Taylor, Margaret R. Karagas, Tracy Punshon, and Kathryn L. Cottingham. (2012). Arsenic, Organic Foods, and Brown Rice Syrup. Walter J. Rogan and Michael T. Brady. (2009). Drinking Water From Private Wells and Risks to Children. This entry was posted in Environment and tagged arsenic, environment, food, safety, water. Bookmark the permalink.